The aim of this study is to present on Emulsifying Agent. 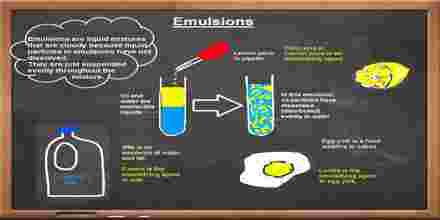 The word “emulsion” comes from the Latin word for “to milk”, as milk is an emulsion of milk fat and water. An emulsifier is a substance that stabilizes an emulsion by increasing its kinetic stability. One class of emulsifiers is known as “surface active substances”, or surfactants. A highly liquid emulsion may also be used orally, or may be injected in some cases. Popular medications occurring in emulsion form include calamine lotion, cod liver oil, Polysporin, cortisol cream, Canesten, and Fleet.